BIM (Building Information Modeling): As the first lighting content provider, Visa Lighting’s dedication to the design community to be responsive and innovative compels us to assume a leadership role in extending capabilities of this powerful tool. One way we’ve achieved this has been to provide our products in a comprehensive BIM product library in formats including Revit and Bentley as well as Google Sketch-Up. What’s Next? 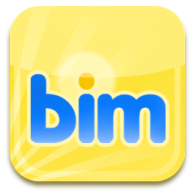 The BIM Beacon Blog, focused on lighting and BIM. We would like this to be a place for dynamic conversation to facilitate an exchange focused on lighting and BIM. We will post topics, tips and tutorials that will hopefully “spark” feedback and dialog so that we may collaborate with each other as we all work to expand our knowledge and overcome some of the challenges with lighting and BIM. We also welcome questions, ideas and suggestions for future posts. The BIM Beacon, shining light on the topic of BIM. Some Cool Ideas … What do you think? Lighting apps for your phone … there are many out there, favorites? We have seen some great spaces designed and rendered with the use of BIM and Google Sketch Up models. If you have a project file, rendering, or model with Visa Lighting products, we would like to include them in a library of projects here and on the Visa Lighting website. We would also love to promote you and your capabilities with BIM and lighting so that others in the design community can benefit from your talents. Please contact us for more information.